A GPS tracking device for car owners is an affordable tool for anti-theft, location monitoring, safety and piece-of-mind. 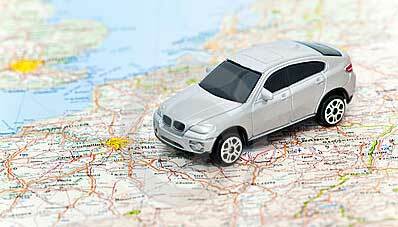 Many Australian car owners are now looking at purchasing a GPS vehicle tracking device but how would they know what to buy and the best model for their car? This article aims to explain the main benefits of GPS tracking devices or “car trackers”, what features to look for, the initial and ongoing costs for a car tracker and how to install one. An alarm system is very useful for alerting people who are close to the car and for scaring the thief away, but if the car owner is more than 500m from your car it’s unlikely that they’ll hear the alarm. They could come back to their car’s parking spot to find their car missing !!! This type of unfortunate event can be quickly stopped by using a GPS tracking device for car owners which can be set to notify the owner if the car is moving from it’s parked location. 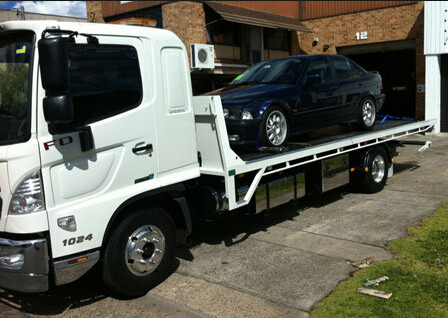 Examples include the car being stolen, towed, or being used by someone else with a key to the vehicle. This notification feature is available via a function called “geofence” which is available for most GPS car trackers. 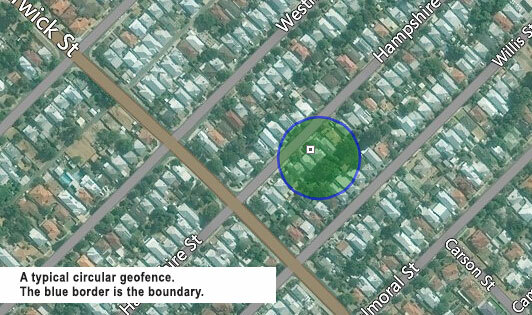 A geofence is an invisible perimeter set around your parked car. The car tracker will then alert you when the car moves outside that set area. 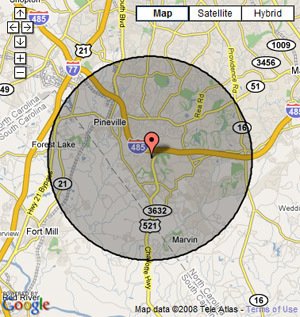 Geofencing and alarm trigger notifications can alert you immediately if your car is being stolen or moved. Another good feature is that the GPS tracking device can be wired to the car’s alarm. If the car alarm is triggered, a SMS text message will automatically be sent to your mobile phone allowing you to check on your car and alert the authorities if required. This greatly increases you ability to prevent theft and damage to your valuable car. A really cool feature with certain model gps car trackers is the ability to remotely disable the car. For example, the free fleetminder mobile phone app (Apple and Android) can send a message to the car tracker to disable the vehicle’s electrics. This is a very useful feature to stop the vehicle from being started again (after being stolen or moved). 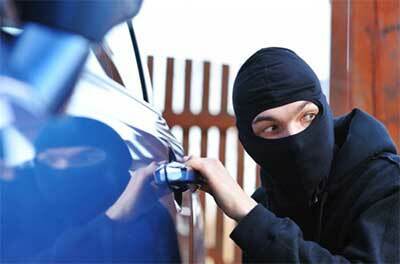 Remote disable can also be an added security function to prevent the car from being stolen in the first place (e.g. if leaving the car at airport parking or in a home garage when on holidays). Park your car, then press the appropriate button on the mobile phone app, and now your car cannot be started until you enable the ignition again (using the app). Press one of these buttons within the fleetminder car tracking mobile app to enable or disable the car remotely! Besides the hardware features of the car tracking device a crucial component is the “software” that is available for that specific brand tracker. This is important for a whole range of reasons as well as being able to quickly find and recover the car. These other reasons could be – for example, that you wanted to know if someone was speeding in your car. Unless the software for the brand of tracker has this report you’ll be stuck. Where is my car right now? Has someone been speeding in my car? Also, where, when and how fast were they travelling? What happened on a particular day? Great for querying speeding or parking fines. How many kilometres has my car travelled today, this week or this month? Useful for automatic log book type data. The Live tracking system (subscription service). Both of those “software systems” allow the car owner to quickly recover their car or notify the police to do so. For example, the fleetminder mobile app only needs a push of a button which sends the “MAP” command to the car tracker which then sends you back it’s location that you can view on your mobile phone mapping service (Google, Bing, etc). You can view the screenshot of the fleetminder mobile app at the bottom of this page. A good tracking app for your mobile devices are useful for when you are out and about or away from a PC computer, whilst the PC computer and the Live Tracking system will give you more detailed information about your car’s location, how and where it has been driven. Did you know most insurance companies give a premium discount for vehicle owners who have a GPS tracking device fitted? Insurance companies know that a GPS car tracker significantly improves the chance of quickly recovering the stolen car (check out the vehicle theft statistics in Australia). That means fewer claims for total car loss and hence their ability to offer car owners a discount for installed trackers. Ask your car insurer how much a discount they can offer you. This could save you $100, $200 or more a year on your insurance. So how much does a car tracking device cost in Australia? A GPS tracking device for car owners can be in the $199 to $449 Australian dollar range depending on the model and extra features included. This is the cost for the “hardware” only. Of course, this is a once-off cost as the car tracker will work for many years. Cheap overseas models – do they work and what are the risks? The car tracking device may not work in Australia (as it may operate on another frequency that is not used in Australia – real “techie” type stuff you don’t want to deal with). Most times they specify 2G or 3G but you still need to double check that. Little or no warranty on the hardware. If you have a problem would you pay for shipping back to the overseas supplier for them to check it? The GPS car tracker itself is poorly designed or made and doesn’t operate reliably. You won’t know this until you have used the cheap tracker for several weeks. You can now probably see the risks by trying to save a few dollars – not worth it really. Besides the initial hardware cost, are there any ongoing tracking device costs? 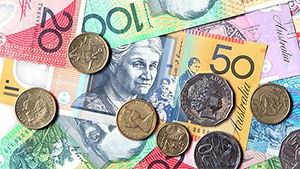 As GPS tracking devices have to communicate via the mobile phone network, Telstra and other mobile carriers charge a fee for SIM card use and data. Data SIMs are available from fleetminder for $5 p/m when Live Tracking is provided. Once you have the SIM card, slot it into the tracking device and then install the tracker into your car. A tracker that connects to an existing socket in your car. Can be connected to the car alarm, car ignition for the remote disable features and other inputs and outputs like fuel sensor monitoring, automatically wind up windows, lock doors, etc. Need to pay to have it fitted. The fleetminder car tracker (FM NxtG-V4) only needs three wires – power, ground and ignition. Though it’s highly recommended a suitable car stereo installer or auto electrician fit the tracker. A plug in GPS car tracker needs to have access to power so the only three ways to do this on modern vehicles is via the cigarette lighter 12 volt power, 5V USB power, or via the vehicle’s diagnostic port – called OBD. Not all cars have 5V USB sockets, but this accessory is becoming more popular. The cigarette socket obviously is in a visible location so it cannot be used for anti-car theft purposes. That leaves the OBD port. 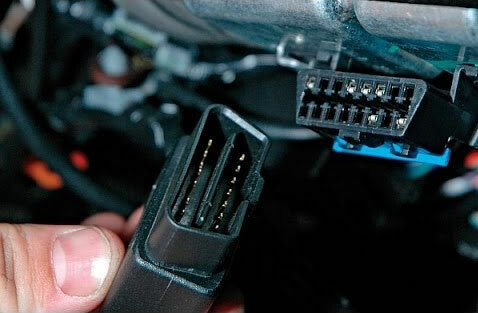 The OBD port is there for the car’s mechanic to check the car’s computer error codes. So it’s not used that often, hence it being available to source power for the car tracking device. No installation cost – you can easily plug it in yourself and have it ready for use in two minutes (though it’s still advisable to hide the GPS car tracking device within the dash with a suitable OBD extension cable). Certain OBD trackers can also send engine data (fuel consumption, RPM, etc). Fleetminder’s OBD300 can transmit engine data. Depending on the car make and model the OBD port can be in limiting space making it difficult to fit and/or hide the GPS car tracker. Though you can use an OBD extension cable to assist in hiding the tracking unit from view. Cannot be connected to the car alarm or any other vehicle electrics. However, the fleetminder OBD-300 can obtain and report on engine data. Did you see the above information about tracking device software? Review the quick location and recovery section in this article. Without good “software” the car tracker device does nothing. It’s crucial to have useful and appropriate software to be able to track your car. Track the car’s travels (this does require data to be stored on a server for later retrieval – see image below). 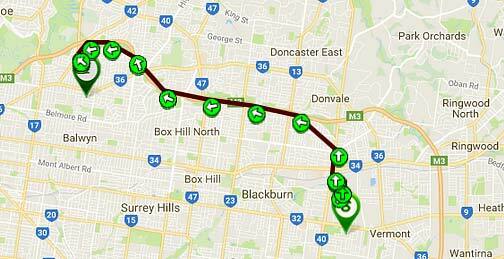 Each of the green arrow symbols on the map above is the reported location of the car at the reporting interval. Typically car trackers report their location every 1 to 3 minutes. Unfortunately cheap overseas car trackers have very poor software support meaning that the cheap tracker could be useless. Their software or app could be difficult to use, buggy and not work when you need it to, or in a non-English language. So having good tracking software matched to the car tracker hardware is very important. The Live tracking system (subscription service for additional features and tracking tools). Below is a picture of the fleetminder mobile phone app screen. This is a free app and is available from the Apple app store or Google Play store. Just search for the app “fleetminder” on your relevant app store, or click on the links below to review the app. GPS tracking device for car owners offers a whole range of benefits including car tracking, theft recovery, remote car disabling, car insurance savings and many other benefits, and they have become affordable for all Australian car owners. For more information check out the other car tracking articles on this website.